Concrete is a hard surface, but it has quite a bit of give to it. Unless enough pressure is applied to suddenly make it crack or shatter, the wall might develop a bulge instead. Check the wall for rounded spots, both concave and convex bumps, and signs that the soil is pulling away from the wall. It needs a solid foundation of dirt to stay strong, so expanding, contracting, or unevenly moist soil can make it change shape. 2. Flakes and surface-level chipping. Concrete can absorb water, and it holds onto some of the moisture it didn’t lose during the initial curing process. If the concrete goes through freezing and thawing cycles, that water expands and contracts inside the concrete. When this happens near the surface, it can start to make the concrete chip away or flake off sheets of concrete. While this is more common in the northern half of the country, it’s a sign that the concrete was either made with poor quality sand or has too much moisture. No matter what type of foundation you have, cracks in the concrete are a bad sign. Call in an inspector immediately. 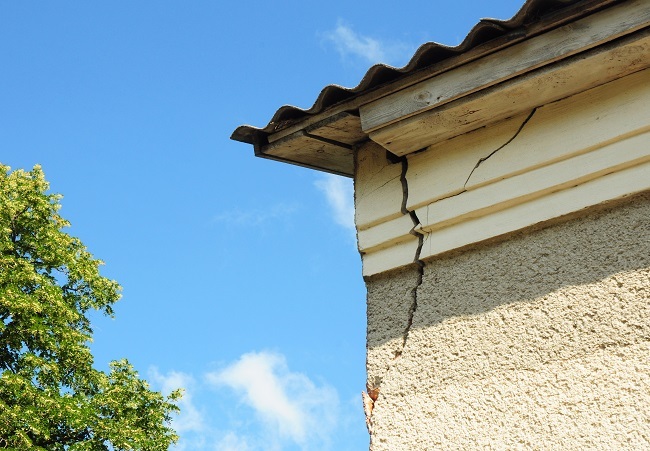 The concrete wall supports at least some of the weight of your house, and an unstable base could damage your house. If the crack is making the wall rise, it could be putting enough pressure on the exterior walls to make them crack and bow, too. Go to Dodson Foundation Repair here to set an appointment and get to the bottom of problems with your concrete perimeter wall.